People all have their own private saddest days. They may have had their house foreclosed, had to bury their parents or even a child. 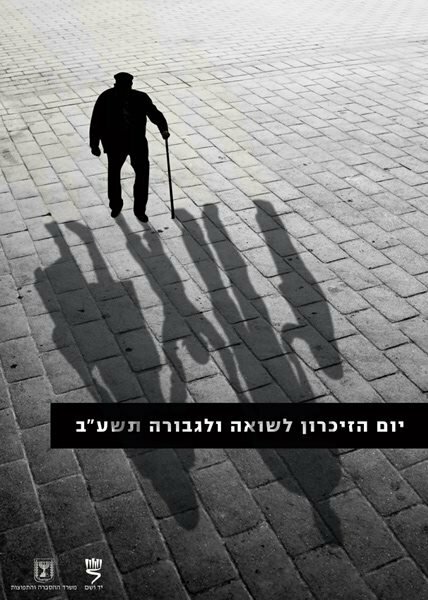 So maybe I am not speaking for all Israelis when I say that Holocaust Day is the saddest day in Israel. In Judaism, days are counted from sunset to sunset. So Holocaust Day ,or Yom HaSoah, starts from the evening of the previous day. In Israel all the places of entertainment such as pubs, restaurants, malls and coffee shops close down in the afternoon. On the television, movies such as "Schindler's List" or documentaries about the Holocaust are broadcasted. And I am sad to say that there is a lot to document about the Holocaust. Every Holocaust Remembrance day I see, read or hear about a another evil act (new to me) that took place in Europe. We all know the story about Anna Frank, but have you heard about the mobile killing units, that the Nazis also killed Gypsies and homosexuals and that the Bikernieki forest in Latvia was the biggest mass murder site during the Holocaust? Some of the few surviving Holocaust victims are interviewed on television and some speak at schools, ceremonies or other public places. The children wear white shirts to school, the flags fly half-mast and may people light a candle to remember those that have died during the Holocaust. And at precisely 10 am sirens sound throughout the country and everybody stops what they are doing for two minutes. Even traffic comes to a stand still and people stand silently to remember the six million who had died. The whole country takes on a somber, reflective mood. Many people attend ceremonies and everybody watches the documentaries and movies shown on the television. It really is a sad day, wrought with emotion and even as I am typing these words I have to stop every once in a while to wipe away the tears. 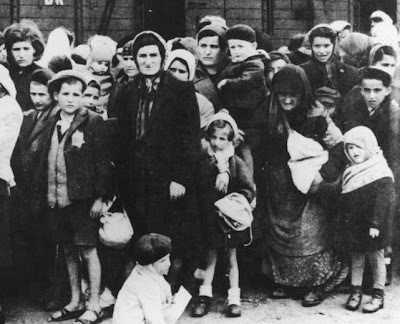 It might be easier to watch or listen to the more hopeful stories of righteous gentiles such as "Schindler's List" or that of the Warsaw Ghetto Uprising where some Jews were saved or managed to stand up against the Nazis. The resistance fighters of the Warsaw ghetto managed to held out for 28 days from invasion - longer than other European countries. These stories give us a glimmer of hope, a feeling of that all is not yet lost with the human race. But I think that it is the horror stories of the Holocaust that should be told and listened to. The experimenting on humans, the killing of 1.1 million children, the tattooed pieces of skin that was kept as souvenirs and the fact that Jews had to dig up the corpses of fellow Jews and them burn them. We must look at the empty eyes in the carefully documented photos and let them haunt our dreams. We must do this not only to remember the six million Jews that have died in the Holocaust but also those that have died in Bosnia and Rwanda. And we must not only remember the dead but also the fact that people did these horrible things. Not evil aliens from far universes or nightmarish monsters. Ordinary people with families, hope and dreams. People very much like ourselves. Remember the dead but also keep an eye on the living. We cannot let this happen again. Holocaust Memorial day is too sad for more days to be like this. "Not evil aliens from far universes or nightmarish monsters. Ordinary people with families, hope and dreams. People very much like ourselves." Sigh. You are so right. It is a good but painful reminder, Marina. Here is my submission for the next Haveil Havalim. Thank you so much for taking the time to edit!